Security was heightened as millions cast their ballots in polling stations ranging from schools and public buildings to churches, pubs and even a windmill and a launderette. 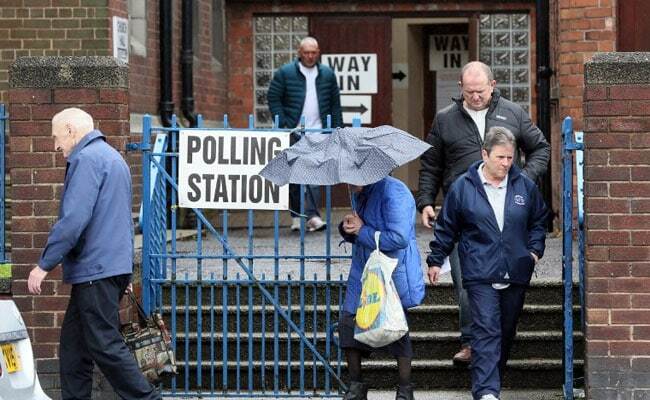 London: Britons streamed to the polls for the third time in two years on Thursday after a campaign dominated by terror attacks and the uncertainty of Brexit. Prime Minister Theresa May called the snap vote in April, when opinion poll ratings for her and her centre-right Conservative party were sky-high, presenting herself as the strong leader to steer the country through tough negotiations to leave the EU. Although polls make her favourite to win, Islamist attacks in London and Manchester have put her under pressure, while campaign missteps have dented her reputation as a safe pair of hands. 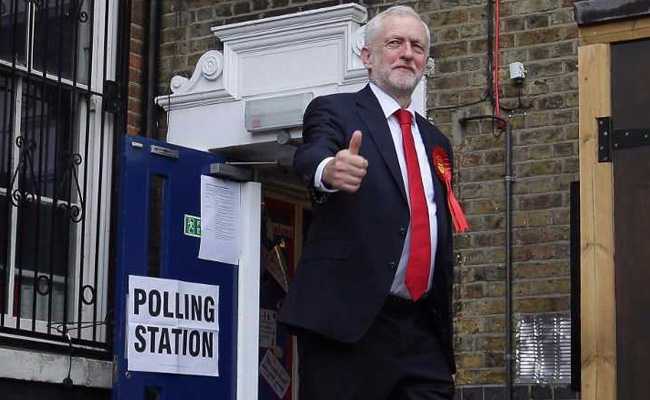 Opposition Labour leader Jeremy Corbyn, an anti-war campaigner deemed unelectable by three-quarters of his own lawmakers, has run an energetic campaign, promising change and an end to austerity. An exit poll at 2100 GMT will give an indication of the outcome, although the final picture will not begin to emerge until early Friday. Polling experts -- many of whom failed to predict the historic referendum vote to leave the European Union last year -- are somewhat wary of calling the outcome. But predictions of her expected margin of victory vary widely, and one shock model even predicted May could lose her working majority of 17 in the 650-seat House of Commons. A final projection published Thursday by pollster Michael Ashcroft predicted a Conservative majority of 76 seats, gaining ground as Labour and the Scottish nationalists slip back. While May has been touring target seats around the country, delivering slogan-heavy speeches in workplaces, Corbyn has drawn large crowds to open-air rallies. May, 60, has presented herself as uniquely qualified for the Brexit talks starting on June 19 and said her 68-year-old rival would be "alone and naked in the negotiating chamber". "Get those negotiations wrong and the consequences will be dire," she said on a final campaign stop on Wednesday. Corbyn, a veteran socialist who has never held ministerial office and defied the odds to win the Labour leadership two years ago, urged supporters in Glasgow to think big on his last day of campaigning. "Wouldn't it be great if on Friday we woke up to... a Labour government that will be a government for all of our communities across the whole of the country," he said. During polling hours, the London stock market and the pound slid. The FTSE 100 index, which initially rose and then eased back, ended the day with a loss of 0.4 percent. While the pound dipped, it was still holding on to gains made after May called the election. It is the third time Britons have been called to vote since 2015, twice for a general election and once for the EU referendum, and voter fatigue appeared to be an issue for some. In Halifax in northern England, voter Alicia Milner, 20, said: "A lot of my family aren't voting, which I'm shocked at, just because they're tired of, exhausted by government." 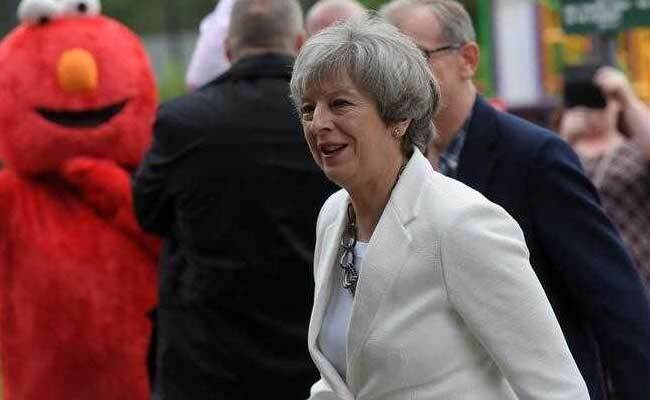 The election is May's first since taking office after Britons voted by 52 percent to leave the EU after four decades of membership. "I want another five years of stability, and a stronger hand in Brexit negotiations," said Dave, 29, in the London neighbourhood of Hackney. "The main issue for me is getting along with Brexit," added Fabrizio, 42, in the wealthy London district of South Kensington. But Labour has pounced on the Conservative government's spending cuts to bring down the budget deficit. The Conservatives were also damaged by a manifesto plan for elderly care that would see some pay more. The campaign was hit by a suicide bombing at a Manchester concert on May 22, which killed 22 people, followed by Saturday's knife and van attack in central London, which left eight dead. The Conservatives are traditionally strong on defence and security, and have sought to exploit Corbyn's anti-nuclear stance and his links to Irish paramilitaries. But May also faced uncomfortable questions over cuts to police numbers during her years as interior minister from 2010 to 2016. May and Corbyn both cast their votes in their respective constituencies of Maidenhead, southern England, and Islington, north London. In a frequently ill-tempered campaign, there was light relief as thousands of voters brought their pooches to the polling stations, posting their pictures on Twitter using the hashtag #dogsatpollingstations. One voter near Reading in southeast England turned up to cast her ballot on her horse, Splash.